If you are just starting out working on some design related work, you probably need stock images. The challenge is they can be quite costly and may cut into your profit. If you are designing websites for clients or for yourself, the last thing you want is to spend a fortune. This is one of the popular sites for many. The whole interface is extremely easy to browse and there are a collection of vector graphics, art illustrations, as well as stunning photos to download. They also come in a variety of sizes too. Whether you are looking for small thumbnails or high-resolution background images, you can assure that you will find one. There is no need to give credit or attribution to any of the photographers or artists sharing their images. All work is licensed under public domain, making it 100% free to use. This includes copying, modifying, distributing, and using the images for commercial purposes! Another thing worth mentioning is that if you are a photographer and want to get your name out there, you can sign up for free and then contribute your high-quality images to people all over the world. Who knows you will be featured in the Editor’s Choice section. 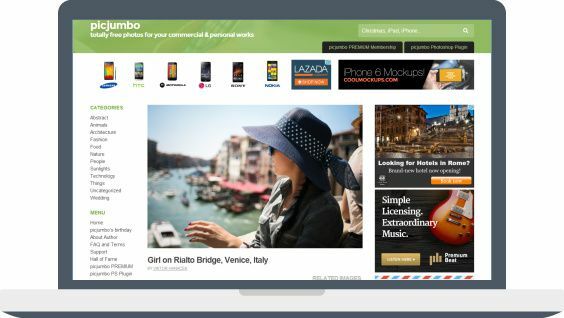 At the time I’m writing this, PicJumbo has just turned 1 as of November 3, 2014. This is my number one preference when hunting for high quality photos to use in my projects. In fact, the website is entirely operated by 1 person (Viktor) only and the reason why it was started was because no one of any stock photo agencies wanted his photos. The creator is a web designer himself and definitely understand the importance of free stock images, especially for those freelance web designers who are just starting out. Almost 800,000 images have been downloaded to date. All of them are really high-quality and best of all, you can use them completely free for your personal or commercial works. While attribution isn’t a requirement, it’d be greatly appreciated if you could suppport the site by donation, buying ads, or subscribe to the premium membership. There is a Hall of Fame section where your name and website will be listed once you make a donation. This is one that I really like for creating flat icons. There are over 2,500 icon shapes you can effortlessly pick and create your own royalty free flat icons for your design projects. What is cool is that not only can you select the dimensions and padding you want for the icon, you can also select the background shape (circle, transparent circle, square, or transparent), background color and icon color you want. All this completely FREE! There are still plenty of resources out there where you can find free high-quality images. And free doesn’t often mean tacky or poor quality. 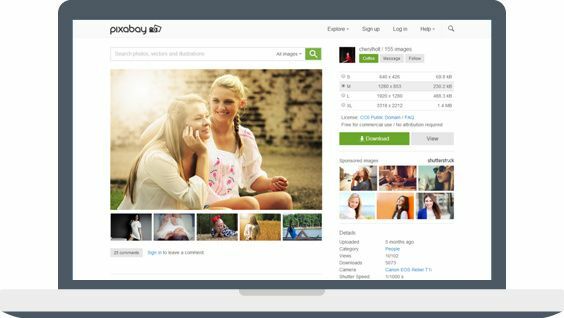 You can see that Pixabay, PicJumbo and FlatIcons all offer excellent quality work, with no attribution necessary. They are even make available for commercial usage, so you can make money from your design work. And one last thing I’d like to say, if you do profit from the use of those free images, please do consider supporting the authors. It is always the right thing to do because there is a lot of work plus cost that went into creating these images, and also the time taken to do that. Do you have other free resources you’d like to share? Feel free to drop me a line below. Amazing article KM! Thank you so much for your support to picjumbo! Excellent article. I definitely love these sites you mentioned. Thanks!